The Practice has worked on a number of projects in the retail sector. One of the most notable projects being with Shawton Engineering to design the steel roof structure and the glass suspended smoke barriers at the Trafford Centre, the UK’s largest shopping centre. Previously the Practice has worked closely with Boots the Chemists, ASDA, and high street banks such as the Royal Bank of Scotland and the Cheshire Building Society designing new shop layouts. 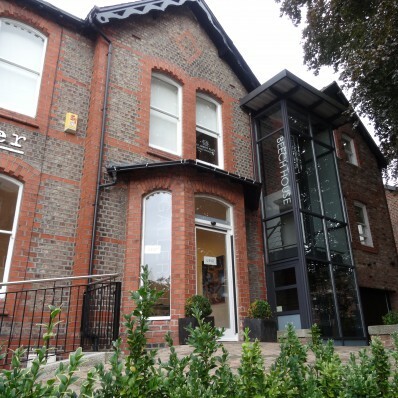 Recently the Practice has converted part of one of its own properties into a successful art gallery in Hale, Cheshire. Furthermore the Practice has extensive experience in designing food retail, designing the Pilgrims Team Room at Brecon Cathedral, and various other cafes/restaurants. We work with clients in the retail sector at all stages of the design process; from carrying out the site surveys through to gaining planning permission, from technical design through to the overseeing of the scheme to practical completion. We provide this within the clients budget and time frame. © 2015 Finlason. All rights reserved. Check out pictures from some of our latest projects.